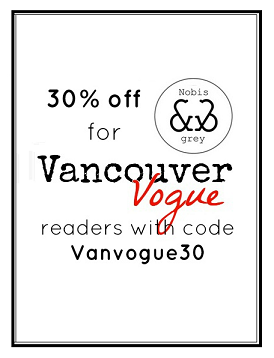 Vancouver Vogue: Feature on Young Hip & Chic: Fashionista of the Week! Feature on Young Hip & Chic: Fashionista of the Week! I woke up this morning to see I had been featured on one of the fantastic blogs I am following: Young Hip & Chic! It's written by a super stylish girl by the name of Tweety Elitou, and if you haven't seen her blog before, you really should take a peek! Her posts are always really interesting, and she features a great variety of strong, female style figures. You can read my interview on her blog here. oh this is wonderful! Is she from Vancouver? No, I believe she's from the States. It's fun meeting bloggers from other countries, but I agree its always fun to meet girls from the same area :) Let's hope we find some more Vancouver bloggers! A pair of shoes courtesy of StyleRecognized! Look of the Week: It's Vancouver Fashion Week! Fashionable Eats: Happy Macaron Day! DIY project: Vote for mine on Facebook!